I admire how Korean love and appreciate art in their society or rather.. how there's consciousness to educate the public on appreciating art. They give a lot of details in intricate design and made it a point to be shared for people of now and the future to see. Countless of art galleries to visit and I love it. 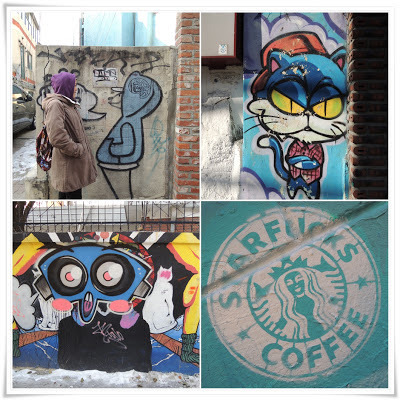 One of the places worth visiting is Hongdae where self interpretation and fresh art meet. Although I live nearby Hongdae honestly, I don't know the place well. Every time I visit Hongdae, my curiosity remains hungry. Say if I follow one alley, I will see something intriguing. If I stroll another alley it offers another mind blowing picturesque view. Never never... get enough of Hongdae. 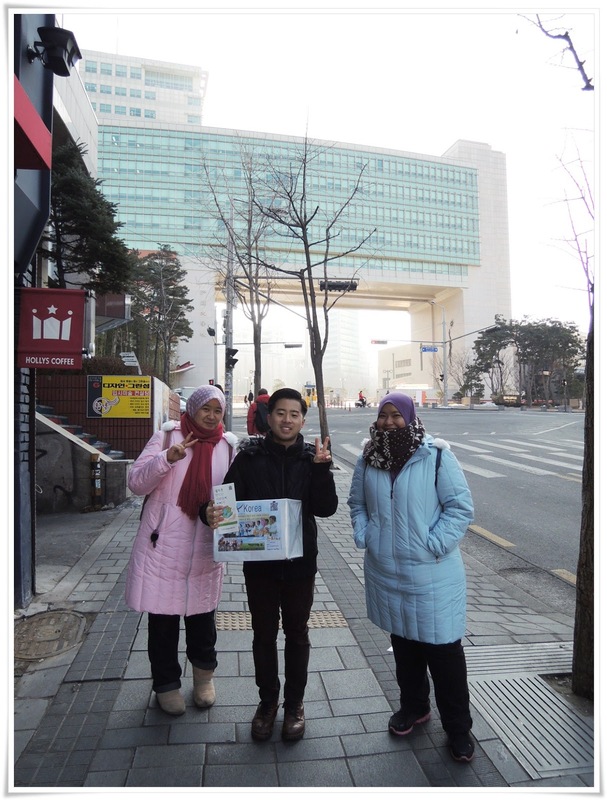 I have discussed this too many times with my friends that Ewha, Sinchon and Hongdae are worth a visit. They exude different vibe. Definitely. Among the three, IMO Hongdae gives me kinda magnetic pull like fresh energy. 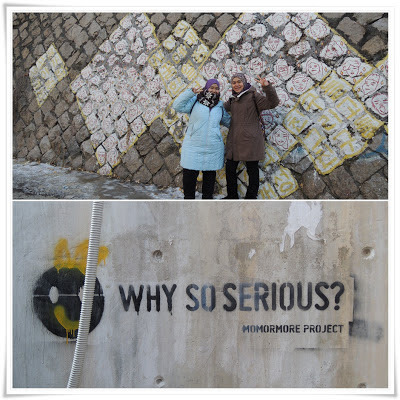 I have been questioning myself, what's a good reason to visit Hongdae? I'm not into clubbing so that's outta question. For me, not the Hello Kitty Cafe', Coffee Prince Cafe' or even the Trick Art Museum. I came to Hongdae strolling its alley looking for the tiny changes. Today.... might be different than yesterday. Someone told me that if I start to appreciate blooming flowers on the road side, that.... could be a sign of me getting older. Omo! O-O hehehe.. I went there 3 times - on my own, with Feia and Nadiah and recently with Min Young. 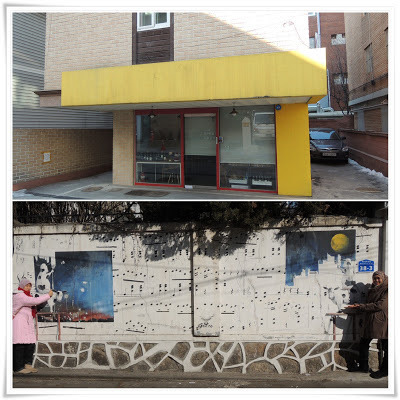 How to go to Hongdae Graffiti Street (벽화거리)? Take the subway to Hongik Station, Line 2, exit 9. 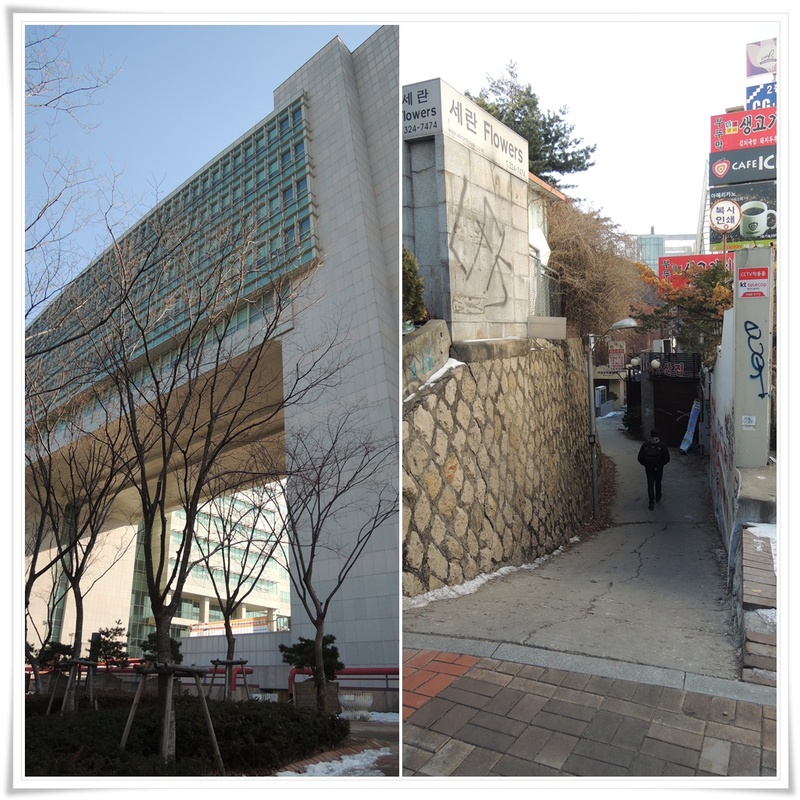 Walk straight out of the exit unti you find a traffic light and turn left, walk up the hill until you find the entrance of Hongik University. If you're not too familiar with Korean Language..Hongdae is actually the abbreviation of Hongik Daehakgyo (Hongik University) 홍익 대학교 abbreviated to 홍대. I prefer to call the place as Hongdae rather than Hongik. from here and you will find many of the graffiti.